Ice Prince, Seyi Law shine at Peace Achievers Awards – Royal Times of Nigeria. Popular Hip-hop singer Ice Prince and a veteran comedian Seyi Law, have been honoured with the “Peace Achievers Awards” by the Peace Ambassador Agency , an organisation that promotes national peace. The duo received the awards at the 6th anniversary of the annual Miss Peace Achievers Awards held on Sunday in Abuja. The Plateau state born artiste received the “Musician of the Year /Peace Builder”award, while Seyi Law got the “Comedian of the Year/Peace Builder”award. Other celebrities that were honoured at the event include fast- rising Nollywood actress, Regina Daniels and singer Praize. According to Mr Kinsley Amafibe, the Project Director of the organisation, the artistes are recognised for contributing to the growth of the Nigerian entertainment industry which has empowered many youths, thereby promoting peaceful coexistence. He added that some of the recipients had also been involved in humanitarian gestures over the years, which had promoted social peace and harmony, which was in consonance with the objectives of the organisation. “These veterans have contributed a lot in building social harmony and peaceful coexistence in Nigeria, using the entertainment industry. 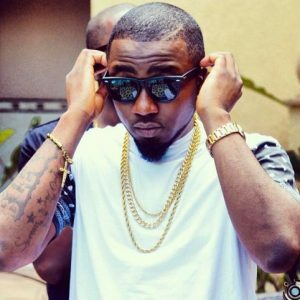 In his remark, Ice Prince expressed delight that the award was an indication that the society was interested in what celebrities do. He, therefore, pledged his continuous commitment towards growing the entertainment industry. “I hope to strive to continue to put in my best both as a professional and a patriotic citizen of this great nation,’’ he said. The 2017 edition of the prestigious awards cuts across over 20 categories with recipients picked from various field of human endeavours. Other recipients of the Peace Achievers awards include the Chief of Army Staff, Lt-Gen Tukur Buratai ,who was honoured with the ‘Award for Excellence in Peacekeeping” and the Minister of State for Petroleum, Dr Ibe Kachikwu. Mr Kenneth Emejuru was honoured with the a ‘Young Entrepreneur of the Year’,and the Chairman of the Federal Inland Revenue Service (FIRS), Mr Tunde Fowler was also honoured. Amb. Louis LuLu Mnguni, The South African High Commissioner to Nigeria, also received the Peace Builder awards, and Raymond Dokpesi of DAAR Communication got the “The Peace Builder of the Year Award. The Peace Achievers Award is a flagship initiative of the Peace Ambassador Agency. The organisation promotes tolerance and peaceful coexistence by organizing beauty pageants, peace education and campaigns. Its peace education campaign, which is targeted mainly at the youths, trains and empowers students of higher institutions and other youth communities, irrespective of their religious and cultural backgrounds. @2017 -Royaltimes of Nigeria. All Right Reserved.